How Far is Omkar Empire? Omkar Empire comes up as a residential complex with a mixture of comfortable and convenient features and specifications that add allure to the well-designed apartments. The apartments are created with stunning infrastructure and creative outlook for a premier lifestyle. The residence can be defined as a top class place to reside which will give you the feeling of pleasant and healthy lifestyle. Omkar Empire also delivers ample sunshine and fresh breeze that brings freshness and peaceful existence to live delightfully. 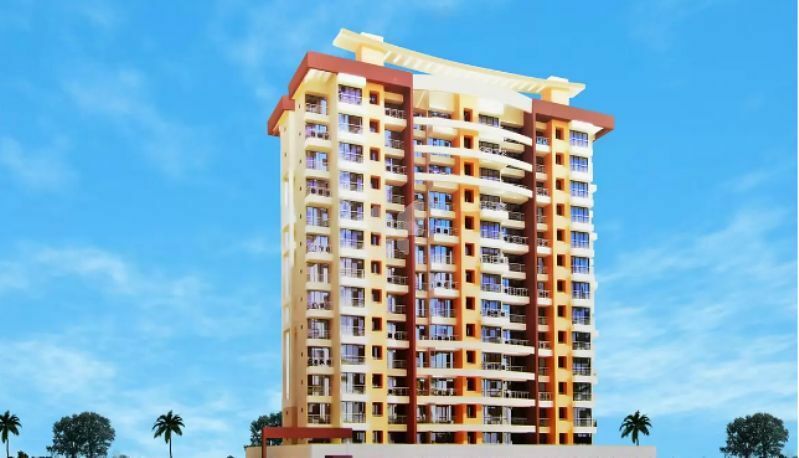 A dream home which accomplishes all your desires and wants is here in the form of Omkar Empire. * Joint free latest concept wall tiles in toilets & kitchen. * Granite kitchen platform with tiles in toilets & kitchen. * Granite sill to windows & frame to toilets door. * French window with good quality glass & mosquito net. * Doors & frame laminated on both side in design pattern. * Reputed brand chrome plate bath fittings with hot & cold shower/tab diverter. * Branded geyser in toilet. * Branded modular switches with sufficient. * T.V. Telephone & net points in living & bedrooms. * CC TV intercom security system. * Provision for inverter in each flat. * Fine finished wall with Emulsion point. * External 100% acrylic paint. * Exclusive terrace in all flats to spend special moments. * Earthquake resistant RCC structure. * Grand decorative ENTRANCE LOBBY. * Two branded lift with Power backup. * Advance fire lighting Equipment.